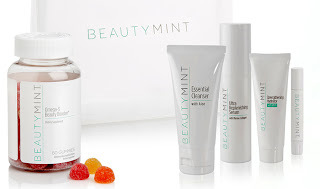 $24 for a $150 Beauty Basket from Beauty Mint + FREE Shipping! Today at Plum District, you can get a Beauty Mint beauty basket worth $150 for only $24 plus free shipping! The basket includes an Essential Cleanser with Aloe, 2 oz. Ultra Replenishing Serum with 50% Marine Collagen, 1 oz. Strengthening Hydrator with SPF 15, Fresh Mint Lip Balm with UVA/UVB SPF 30, Omega-3 Beauty Booster Gummis (60 count jar), a BeautyMint Travel Bag, AND Coupon for $10 off your first BeautyMint order.